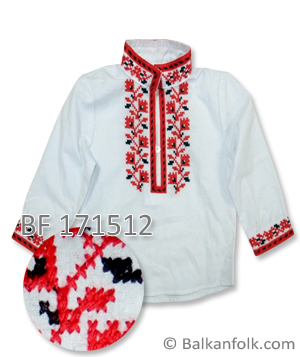 Cotton baby boy shirt (from Shoppe Region of Bulgaria) made of white cotton cloth (100% cotton) with embroidery (code BF 171512). The shirt is manufactured in three sizes - baby 9 months, 1 year and 2 years. Time to work one month.